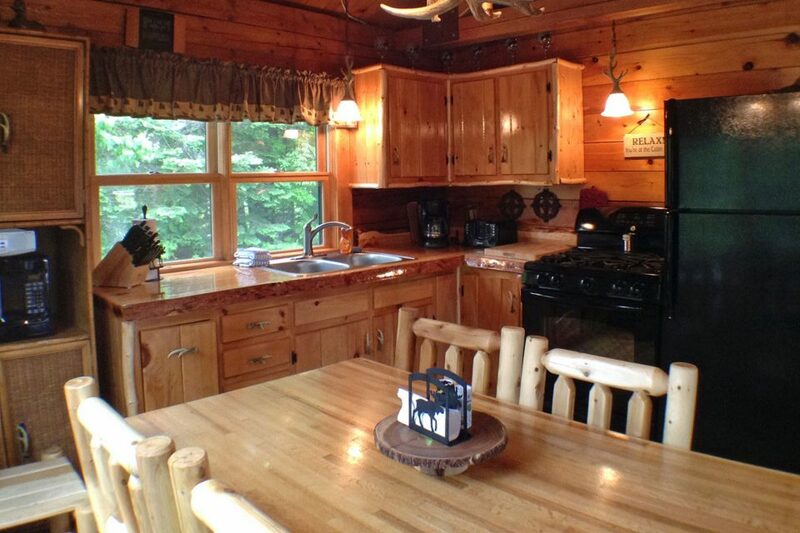 3 bedrooms, 3/4 bathroom, sleeps up to 6-12. 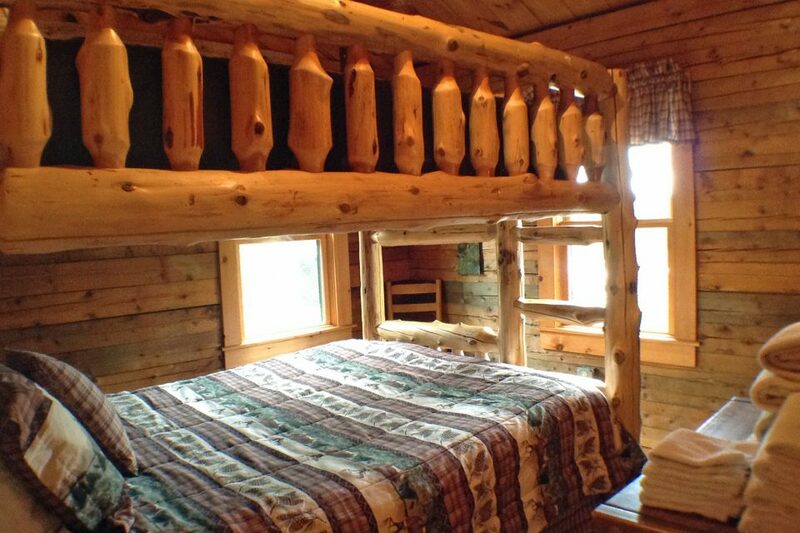 All bedrooms have full-sized bunk beds. 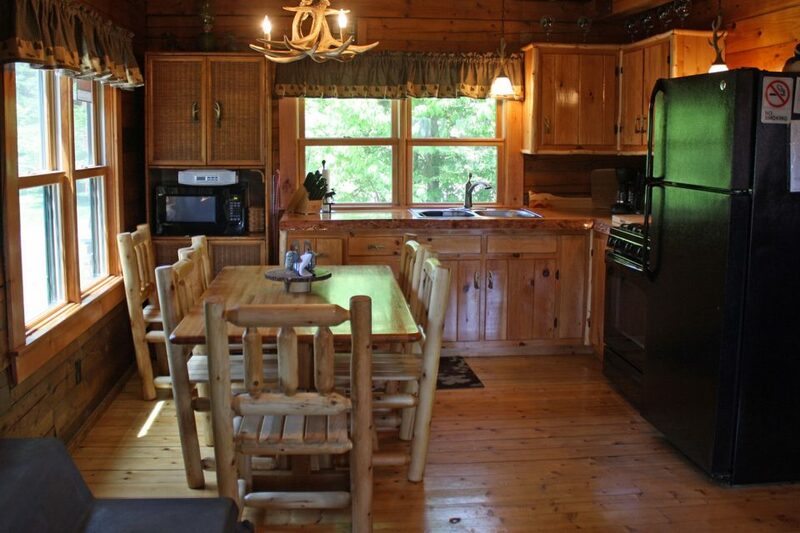 Three-bedroom log cabin just moments away from First Connecticut Lake, large deck providing comfortable, convenient access to all of Lopstick’s summer and fall activities and adventures. 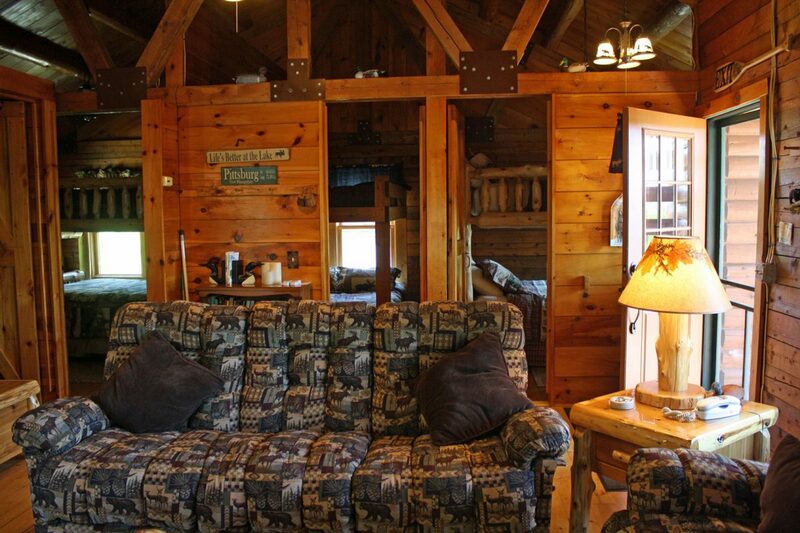 Northern Lights is beautifully decorated and has very comfortable furniture to relax next to the wood stove. The outside fire pit is just a bonus to enjoy. 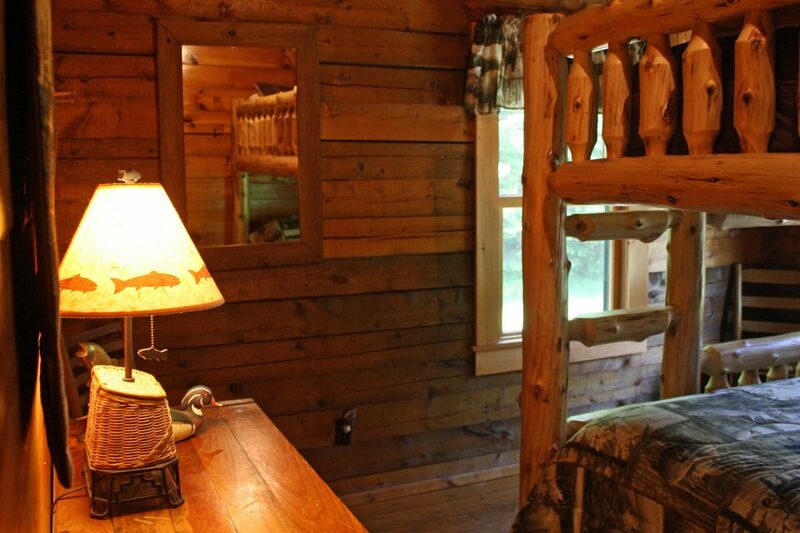 This is not a pet-friendly cabin. 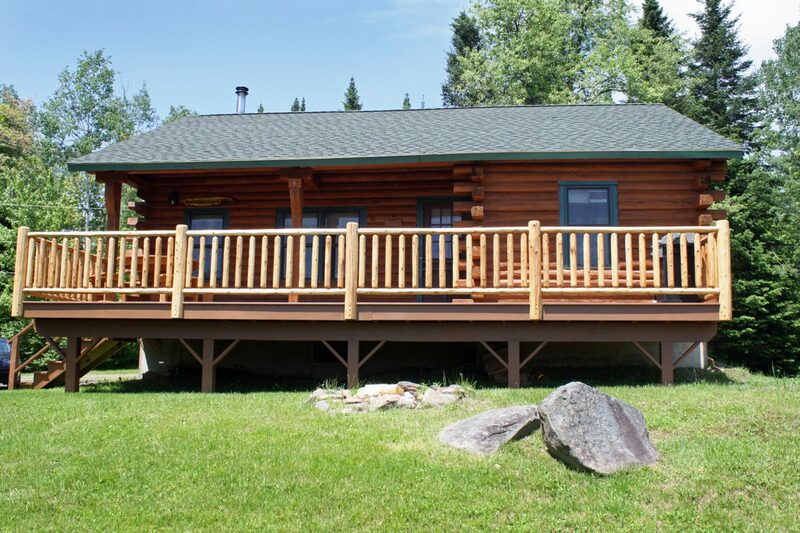 It is only available to rent during the summer and fall. 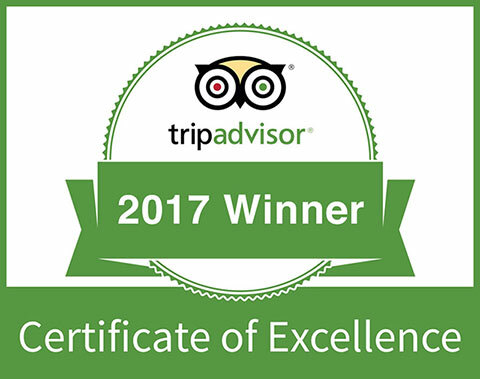 Check-in time is 3:00 pm and check out time is 10:30 am. Please let us know if you will be a late arrival.